New York - Tossing the gavel aside, feisty Judge Shira Scheindlin is speaking out, declaring victory over critics in the battle over police stop-and-frisk tactics and telling why she thinks the government spoiled its chance at conviction in four trials of John “Junior” Gotti. Scheindlin, 69, ended a 25-year career on the bench Friday to join a law firm, hoping to find public interest work to improve things like prison reform, voting rights and medical care. She says she isn’t leaving the lifetime appointment because of controversy, like her handling of stop-and-frisk litigation. “Am I walking out mad? No. No,” she says. It might be understandable if she was after a three-judge panel of the 2nd U.S. Circuit Court of Appeals removed her from the case in 2013 after 14 years, saying she ran afoul of the code of conduct for U.S. judges. Shocked at an order she now calls “lawless,” she took the unusual step of issuing a statement to the press that day. Support from lawyers and judges nationwide, along with newspaper editorials, pressured the court to backtrack, saying it never meant to imply she was unethical, she recalled. “I’ve never seen a personal attack like that,” she says. Scheindlin said a second 2nd Circuit opinion was almost apologetic, resurrecting her reputation. 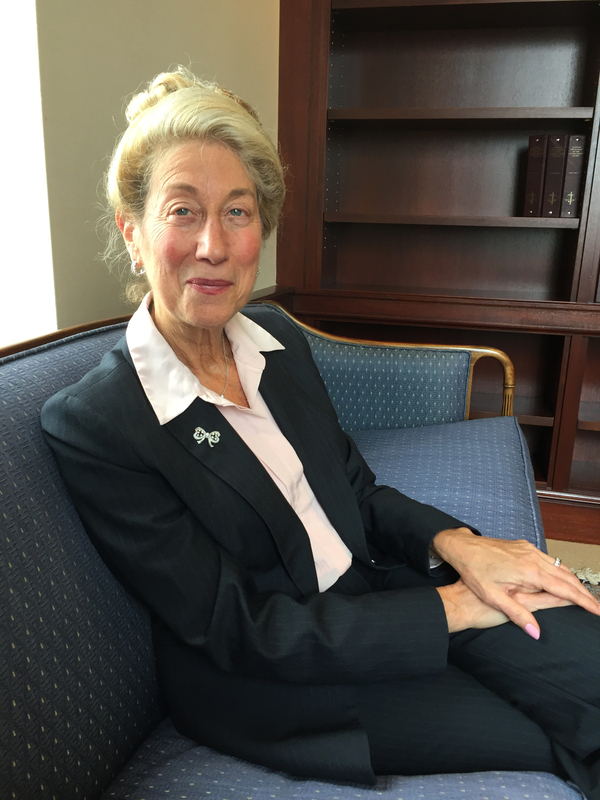 The unusual appeals action came two months after Scheindlin concluded police officers sometimes carried out stop-and-frisk unconstitutionally by discriminating against minorities. Scheindlin references the ruling with pride, saying it is widely read in law schools and a remedies opinion is used nationwide to guide police reform. Mostly, she’s proud of the reduction of stop-and-frisk encounters in New York City from nearly 700,000 in 2011 to 25,000 in 2015 under the administration of Mayor Bill de Blasio, who settled the case, ending appeals. “That’s a 96 percent reduction. And nothing’s blown up. The city goes on, the crime rate is steady or dropping,” she says. Her face brightened at mention of the Gotti trials from 2005 to 2009. Although his father, the former Gambino family crime boss, died in prison, the younger Gotti put up an unusual defense, saying he quit organized crime. “They played the tapes of his prison visits to his dying father. And what you saw on those tapes was a very, very likeable son. I remember being moved myself,” she said. Scheindlin said she also believed the government thought it was her fault it could not get a conviction. After three mistrials, the government brought a new indictment changed enough so it could get a new judge, a tougher one, she says. She was amused when it ended with a fourth hung jury. “That was very vindicating,” she says with a smile. It wasn’t the first time Scheindlin had drawn the government’s wrath. Less than a year after the Sept. 11 attacks, she found the imprisonment of material witnesses in the government’s terrorism probe unconstitutional, a decision conflicting with other judges. Later, she presided over the trial of Osama Awadallah, a 21-year-old Jordanian college student in El Cajon, California, accused of lying about knowing two Sept. 11 hijackers. When the jury split 11-to-1 for conviction, she refused jurors’ request to eliminate the lone holdout. “He was deliberating. He just couldn’t convince them and they couldn’t convince him,” she says. After the trial, she learned from jurors they had disregarded her warning to only consider evidence. At a second trial, lawyers and the judge reworked a jury questionnaire to weed out bias, especially against Muslims. As she leaves the bench, Scheindlin says her greatest contribution to law may be decisions she issued creating boundaries for handling electronic evidence. “I’m sort of known as the mother of e-discovery,” Scheindlin said. Scheindlin said she thinks she’s leaving the bench on a high note with a lone regret. She’d just been assigned a lawsuit about the alleged abuse of women in prisons, the kind of case she loves. This is the brilliant judge that outlawed Stop and Frisk. Who knows how many lives were lost because of her decision not to allow police to frisk people as it was offensive to the criminal community.. Notice the empty bookshelf behind her. That represents well her depth of understanding the impact of law. Silly Lieberal I hope she gets mugged by one of her loving street gangs that culd of been stopped and frisked and locked up. To #1 and #2-The two of you have no sachel, whatsoever. Both of you have not presented any evidence, which correlated stop and frisk, with a reduction in certain crimes. The NYPD and the FBI have NEVER presented any definitive study, which showed that stop and frisk was a positive tool, which benefited law enforcement. One the other hand, over 95% of the stop and frisks yielded bupkis. There were no weapons found, and the people were let go. In the majority of the other 5% of stops, there were some people detained on outstanding warrants. However, in the majority of those cases, there were no weapons found, at the scene of the stops. Judge Scheindlin is a brilliant judge, who took on the powerful lobby of the NYPD, and won! Kudos to her!! She should join Israel's supreme court; she would fit in perfectly with their liberal politically correct twisted way of thinking. is she related to judge judy? Look I don't collect hard data so I can't provide physical evidence. I hardly doubt that your numbers are accurate. It seems a bit skewed and frankly your torah on even the 5% sounds funny. I also don't see whats wrong with the fact that 5% got people for outstanding warrants. So stop & frisk helps cops catch crimanls. That sounds fine to me. Lets leave aside from the hard facts debating how many criminals were really caught and how many weren't. Common sense says it helped.Their is an atmosphere of fear amongst criminals when they know that any time they walk around doing anything remotely suspicious they can be stopped & frisked. It serves as a deterrent not to look for trouble in the streets of NY . Right. She's a typical self-hating liberal Jew like Sanders who hopefully will lose begadol. To #6- I guarantee you that if the stop and frisks were routinely conducted in Borough Park, Flatbush, Midwood, and Williamsburg, and innocent Yidden were being harassed daily, you would be screaming your head off. Yet, when it happens to "them", you could care less!